Home/About PetPeePee, Carpet cleaning, Cleaning Oriental Rugs, Uncategorized/What I should ask a carpet cleaner, when I call for, Oriental rug urine odor removal service? My name is Meir Martin, I’m the owner and the inventor of PetPeePee. The only service that I provide nationwide is: Oriental rug, drapery and heirloom rug cleaning Organically from urine odor. From experience and expertise since 2002, cleaning Oriental rug area rug carpet, drapery, hard floor, furniture from urine odor, I’d be glad to provide you with a good question to all the carpet cleaning service. If your Oriental rug needs cleaning of dirt and soil, probably you will never come to PetPeePee site. However, if you read this blog you probably a pet lover, and if you have Oriental rugs or draperies, this blog is for you. What I should ask a carpet cleaner, when I call for, Oriental rug urine odor removal service?PetPeePee provide you with the right question that you will achieve your goal. You should ask the carpet cleaner first: “do you guarantee in writing urine odor removal permanently, without applying/using any Enzyme chemicals scent, or deodorizer”? Inform the carpet cleaner that’s upon delivery you will inspect the Oriental rug by smelling thoroughly the back and the front of the rug. Ask: what am I going to smell, wool, or chemical smell bland with urine odor? Ask the carpet cleaner, do you have any videos that I can see your cleaning process, do you have a review on Google or Angie’s list, that I can verify your work. Remember, the damage to the Oriental rug from:the chemicals or scrubber can be irreversible. 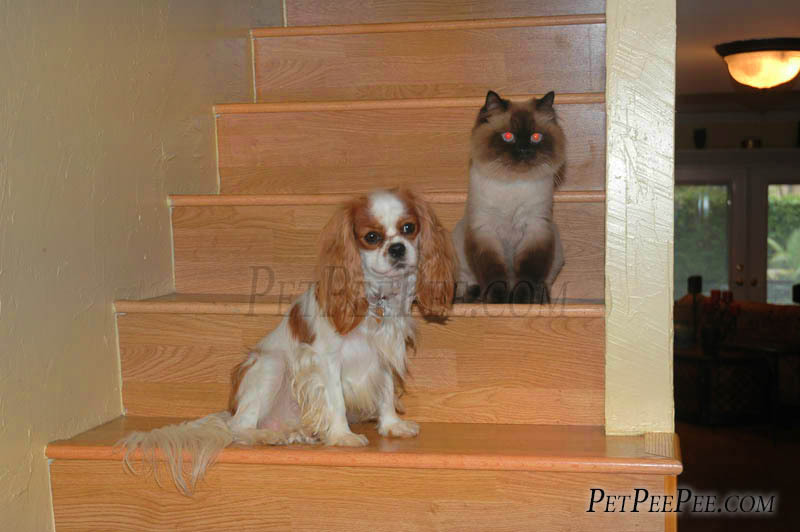 Allow me to show you the right way to clean Oriental rugs from: dog or cat urine odor and pet accident. Oriental rug should be clean, flat without touching the rug in the wet cleaning process, never scrubber or roller, any automatic machine that touching the rug on the surface will cause harm to the Oriental rug guarantee. Please take a look at the video how PetPeePee cleans Oriental rugs without touching the rug in the wet cleaning process, this will ensure that your rug would be clean, and never damage the foundation of the rug. cleaning through is the only way to removes urine odor/crystal from: Oriental rug, and Antique heirloom carpet.